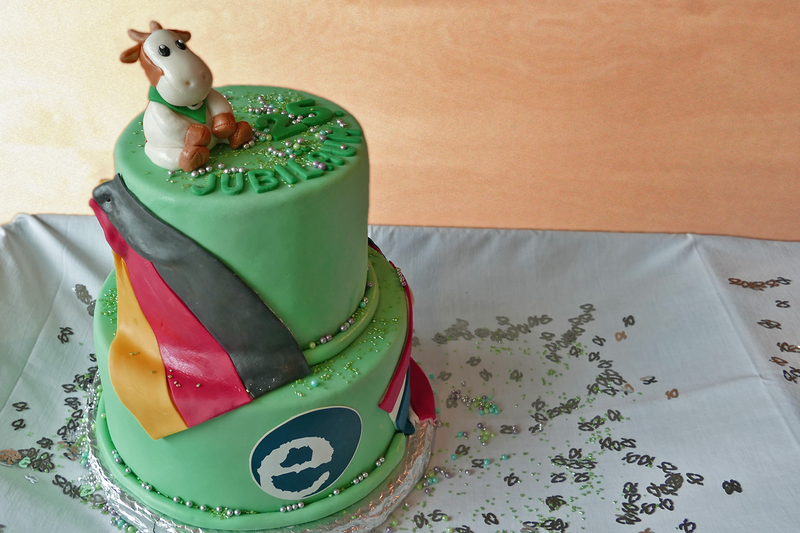 Dr. Eckel Animal Nutrition in Niederzissen will be turning 25. 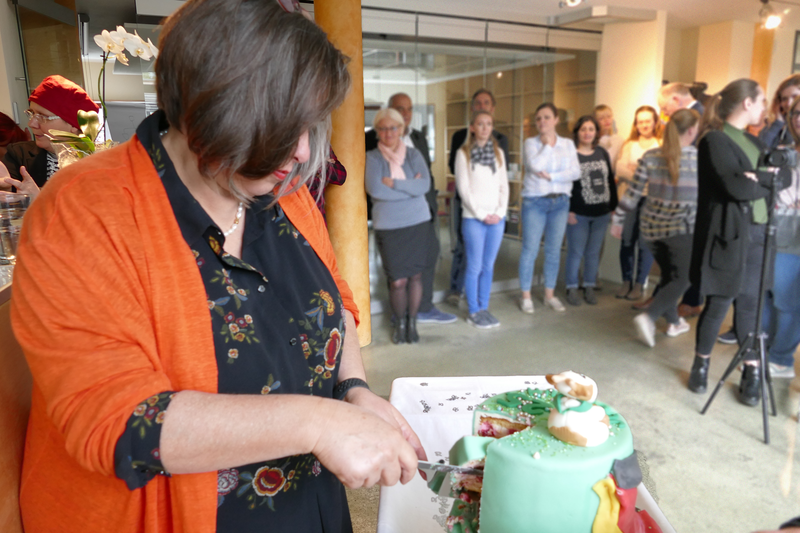 To mark the occasion, CEO Antje Eckel came up with a truly great surprise for her employees: a two-tiered birthday cake in the corporate colours, with mascot Ecki on top. Innovating, transforming visions into reality, being open to new ideas: these are Dr. Eckel’s guiding principles to this day. Despite all the change, the company’s basis has remained the same. 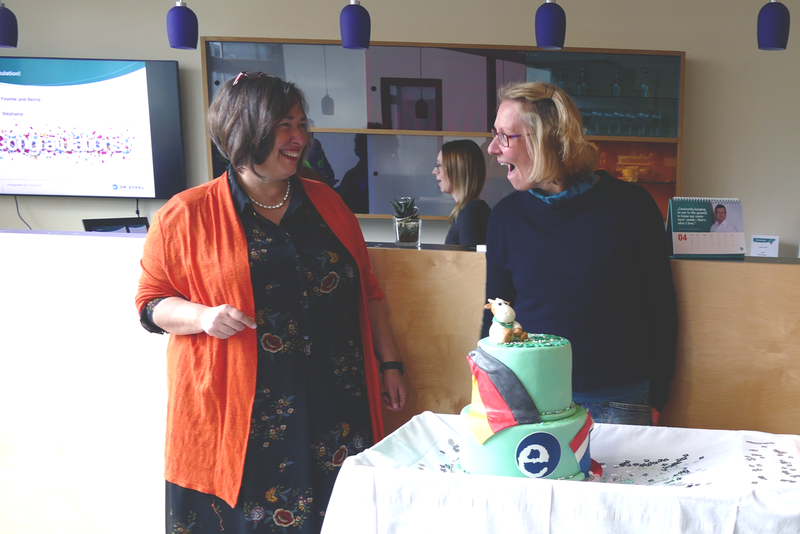 And this is due to the values and principles that inspired Antje Eckel to establish the company in the first place: excellence, responsibility and innovation. Twenty-five years ago, Dr. Eckel was one of the first companies in Germany to aspire to alternatives to antibiotic growth promoters in livestock nutrition. Today, the company is a leader in the development of feed additives that sustainably improve animal welfare. Upwards of 70 employees from more than 20 countries ensure this success. Further activities related to the company’s anniversary will be held in the course of the year, including a major conference about animal welfare, featuring renowned international speakers, for Dr. Eckel customers in autumn. The entire team is looking forward to another exciting and successful year.